Cambridge, the home of the World's most distinguished universities and the place of a countless discoveries. It's where members of the British Royal Family, Prime Ministers and Nobel Laureates have received their education. What Cambridge missed was a distillery, and it wasn't until 2011 that one was established. The Cambridge Distillery, which is UK's smallest, employs 21st century technology to produce and perfect their magnificent Gin. They're the World's first Gin Tailor. What that means is that they produce bespoke Gin blends tailored for individuals, institutions and some of the World's leading restaurants. Taking your wishes and personal taste into consideration, they create something that fits your style exactly. This is their first ever Japanese Gin. Well, it's Japanese in a sense that they use botanicals from Japan, but it's produced in Cambridge, England. 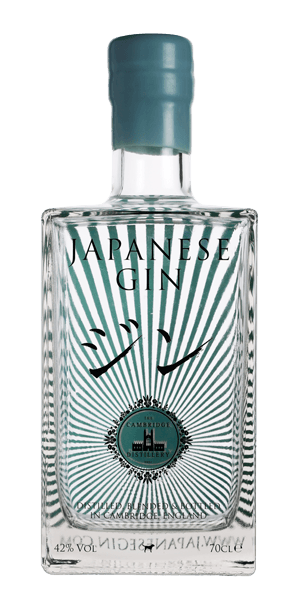 The Japanese Gin combines the quintessential Juniper berries with traditional Japanese botanicals, such as Shiso leaf, SanshÅ and Yuzu. Each of these botanicals is individually distilled by hand, under vacuum, in tiny volumes before being blended together and then distilled at low temperatures to capture the freshest possible flavors. What does Japanese Gin taste like? The Flavor Spiral™ shows the most common flavors that you'll taste in Japanese Gin and gives you a chance to have a taste of it before actually tasting it. Fresh, minty and fruity taste. Was not mind-blowing but still good gin. minimal nose, smooth with a little bite, berry juniper and pine notes, nice aftertaste. Would be nice with an orange twist. My wife's tipple, that's why I got these tasters first, she said everyone had it's own individuality but the Japanese one was so smooth & had a lovely taste to it. I thunk you should give the price. It's annoying for potential customers. Ditto ! Why is the price such a secret ? !